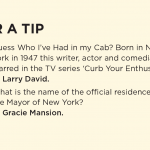 Based on the working life of a New York cab Driver. 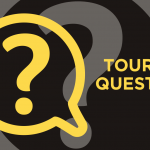 600 local knowledge questions on the New York area. The better your knowledge the better your tips. 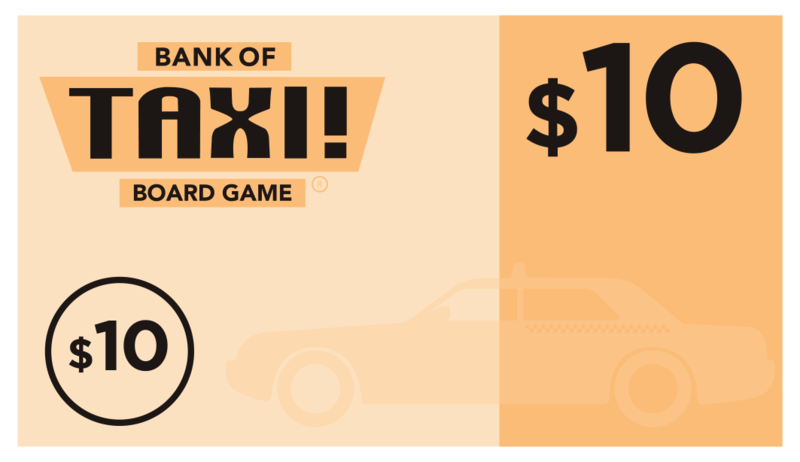 You decide the duration of the Taxi drivers 'shift' at outset. The person with the most money at the end of the shift is the winner. The New York Taxi! 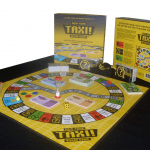 Board game is a new game full of fun and knowledge for all the family (12 years +). 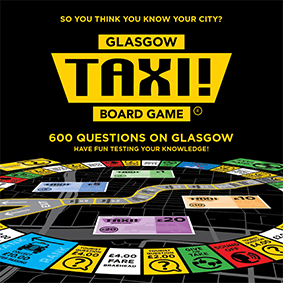 Created by an Edinburgh black cab driver, the game was first piloted in Edinburgh and Glasgow, outselling Monopoly and Trivial Pursuit in major stores throughout Central Scotland. 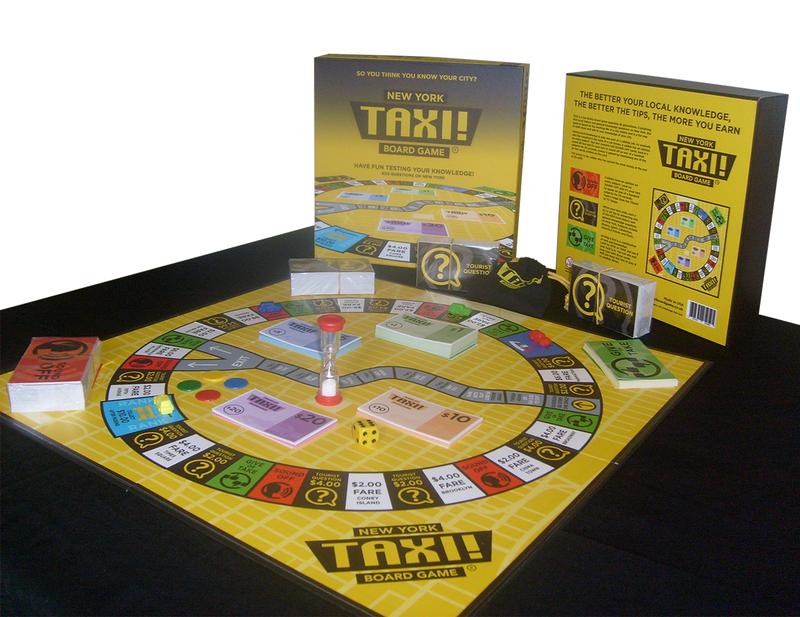 Now, with new features and a redesigned board, the New York edition was launched in July 2015. 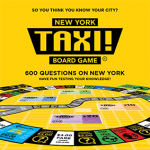 Taxi Board Game contains 600 local history and general knowledge questions about New York, and just like driving a taxi, the better your knowledge, the better the tips, the more you earn. 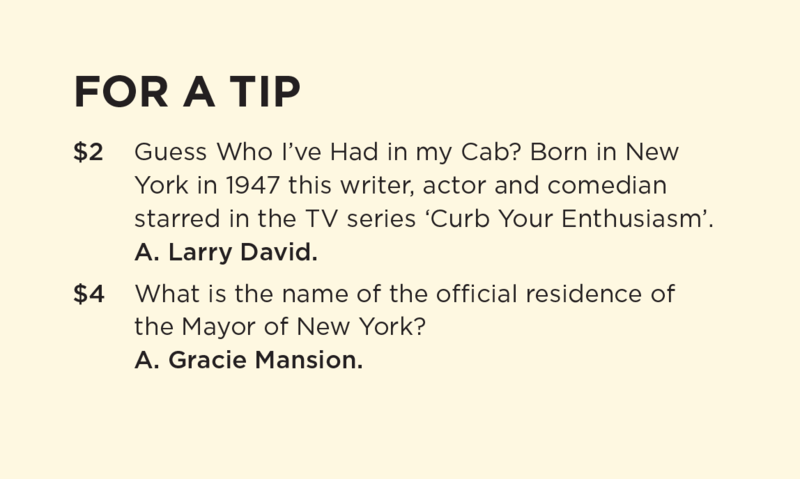 When your fare ends, answer a question on New York to gain a tip. 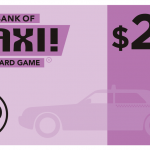 Driving a shift in a taxi is a combination of luck and knowledge, turn left you may get a $5 fare, turn right and you could get a $40 tour. 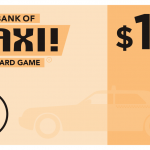 This is reflected in the ‘Taxi Board Game’ by the ‘Give or Take’ squares. Keep the card for yourself or pass it to a fellow player. Is your luck in? 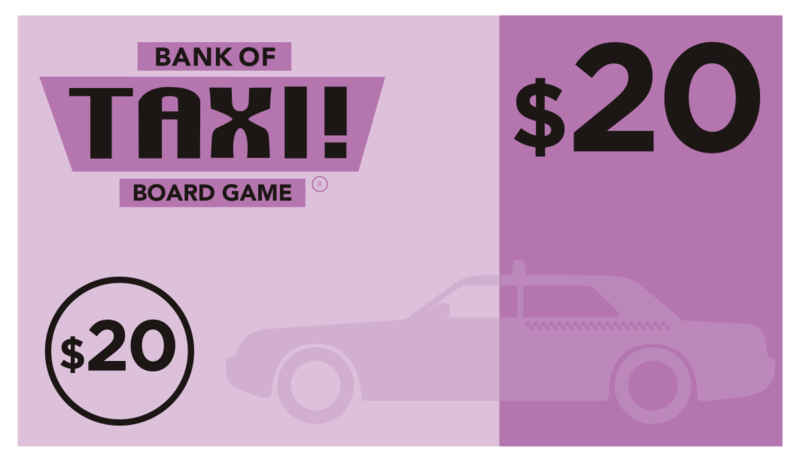 The winner is the player who has earned the most money at the end of the agreed shift time, e.g. 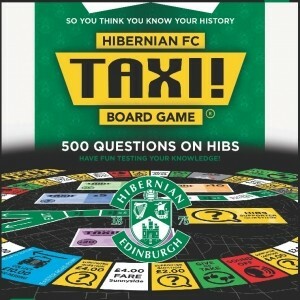 1 hour or 90 minutes. 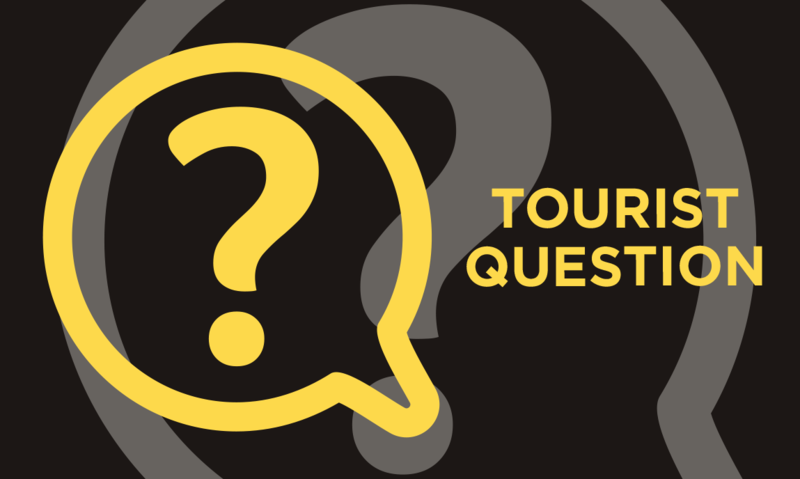 What annual New York sporting event was first held in 1970? What name was given to the Hurricane that hit New York in October 2012?